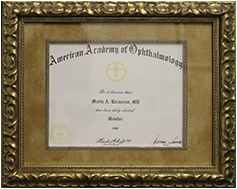 Dr. Marta Recasens is an American Board of Ophthalmology certified, fellowship-trained vitreoretinal specialist and surgeon. 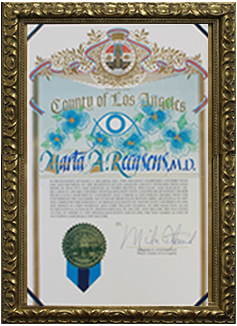 Dr. Recasens has provided unrivaled ophthalmic retinal care in Glendale and Pasadena since 1999. 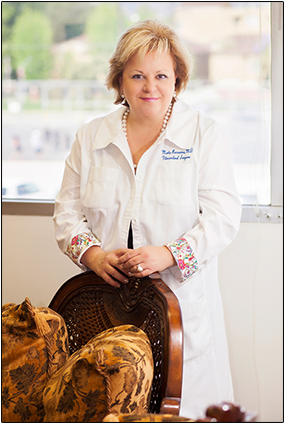 She is the founder and medical director of Macular, Retinal, Vitreal Associates established in 2004. Dr. Recasens specializes in surgical and non-surgical treatment of vitreoretinal disease, conditions including macular degeneration, diabetic retinopathy, retinal tears and detachments and other conditions that affect the back part of the eye. 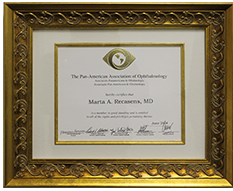 She is a Diplomat of the American board of Ophthalmology and a Fellow of the American Academy of Ophthalmology. Utilizing state-of-the-art technology and instrumentation, Dr. Recasens provides exemplary one-on-one evaluation, treatment and follow-up care in order to restore and preserve vision. Dr. Recasens’ philosophy is “to treat others as I would like my own family to be treated.” She instills this compassion in her staff. 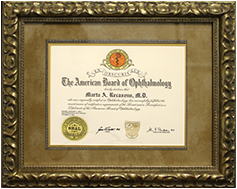 Among her many accolades, Dr. Recasens has been ranked among America’s Top Ophthalmologists yearly since 2002. She has been named by her peers in Pasadena Magazine’s Top Doctors list in 2008, 2009, 2011, 2012 and 2013. Dr. Recasens is a native Spanish speaker. At Macular, Retinal, Vitreal Associates the staff speak Spanish, Farsi and Armenian. Same day or same week appointments are available without referrals for most plans. Dr. Recasens is committed to partnering with you to preserve our most precious gift, our sight. 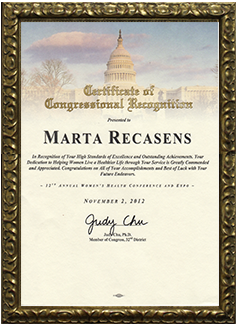 Dr. Marta Recasens is an American Board of Ophthalmology certified, fellowship-trained vitreoretinal specialist and surgeon. 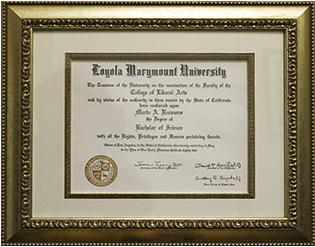 She received her Bachelor of Science degree from Loyola Marymount University in Los Angeles, California. She completed her Medical Degree at the Universidad del Salvador in Buenos Aires, Argentina where she graduated as class salutatorian. Following this, Dr. Recasens was at Emory University for a year conducting ophthalmology research and an assistant professorship. 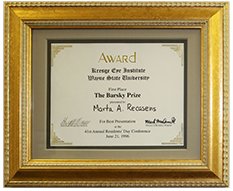 From 1994 to 1997, Dr. Recasens completed her ophthalmology residency at Kresge Eye Institute/ Wayne State University. 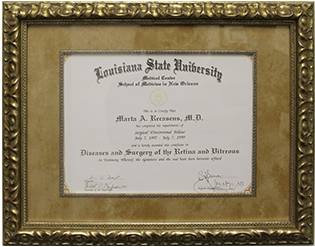 Afterwards, she completed a two-year, formal subspecialty vitreoretinal surgical fellowship at LSU Eye Center in New Orleans, Louisiana. During her training, Dr. Recasens was chief resident and chief fellow, respectively. 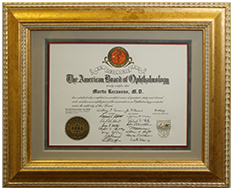 Dr. Recasens has been in private practice in Glendale and Pasadena since 1999.